Hold on tight for 3 awesome Hot Laps in an Off Road V8 Race Buggy! You'll be suited up, helmet on, strapped in to the passenger seat then it's all systems go for the ride of your life! The No.1 Off Road Experience in Sydney. Be prepared for some serious fun as you experience speed, raw power, drifting and jumps in an incredible V8 Race Buggy driven by a pro! The track has been custom prepared to make sure you experience the full awesome potential of these V8 monsters. 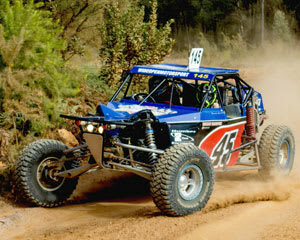 Best of all these Buggies are GENUINE RACE VEHICLES which are raced competitively in Extreme Off Road and Desert Races all over Australia. Best Time ever. Thanks Leigh!!!!! !